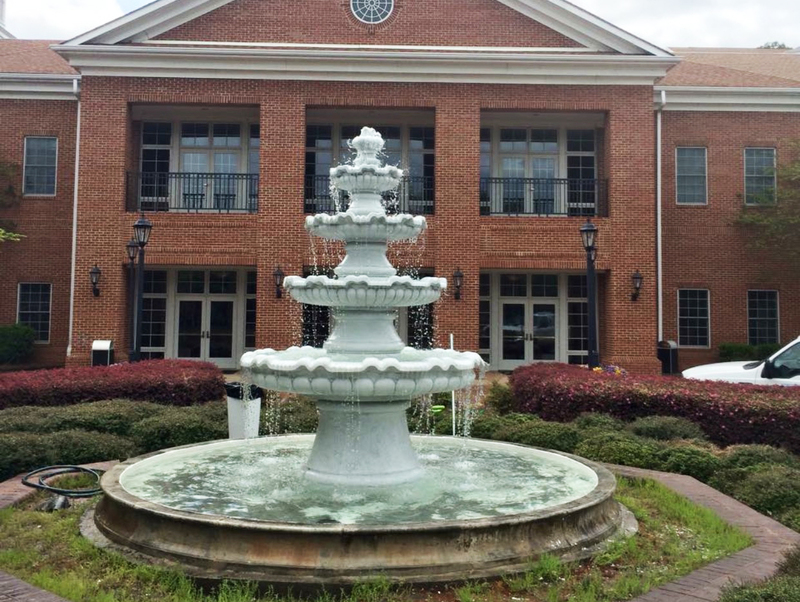 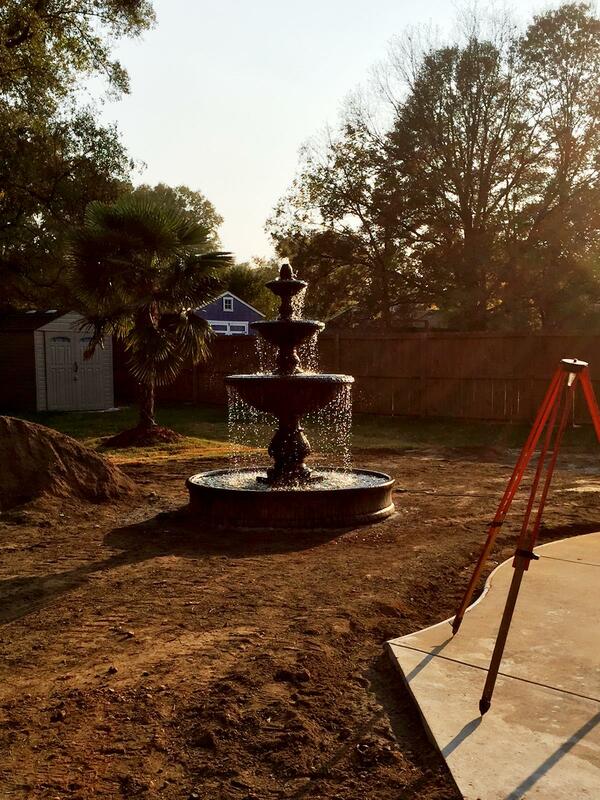 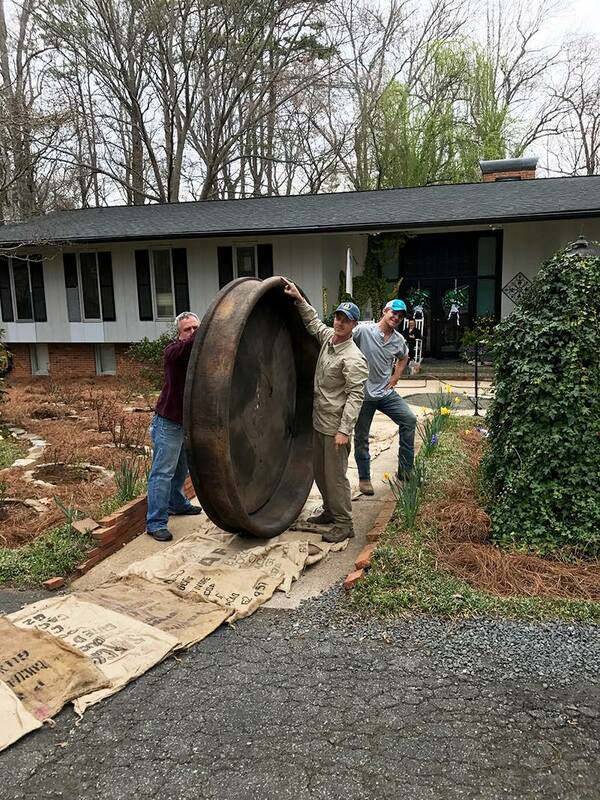 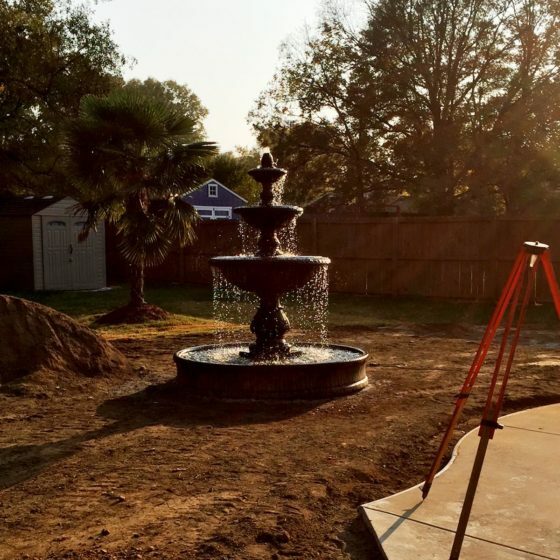 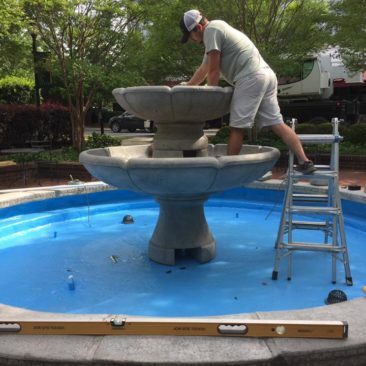 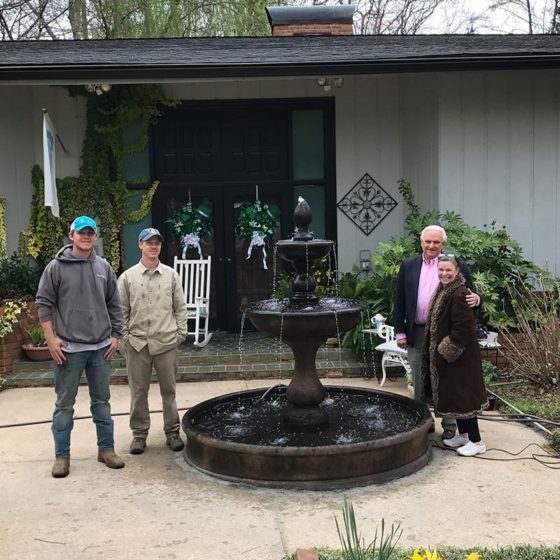 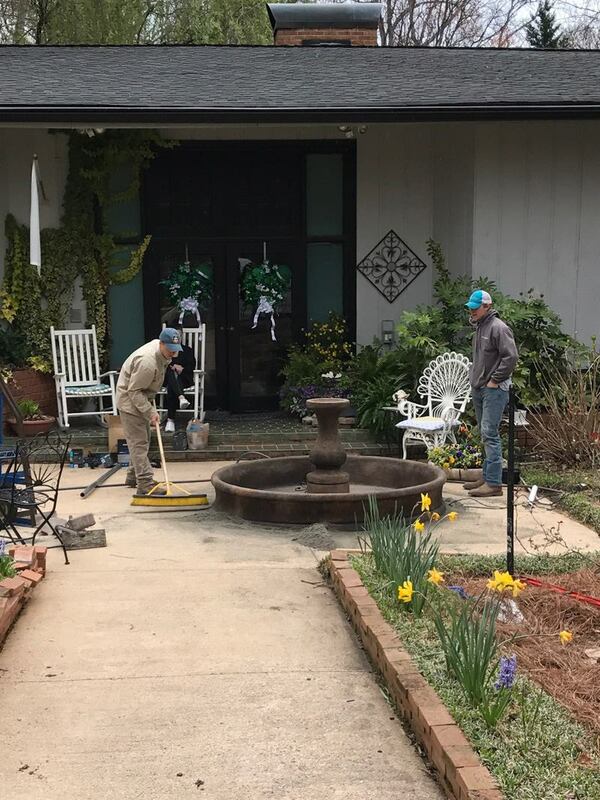 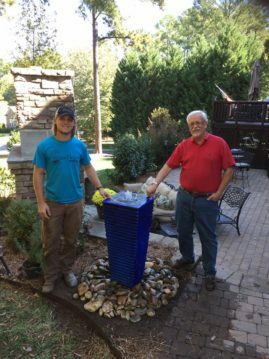 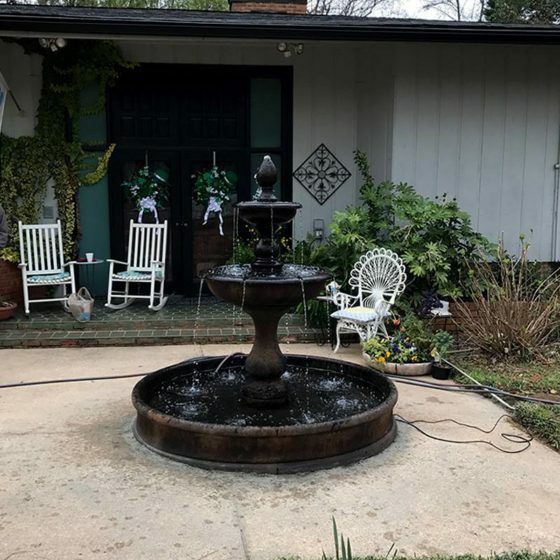 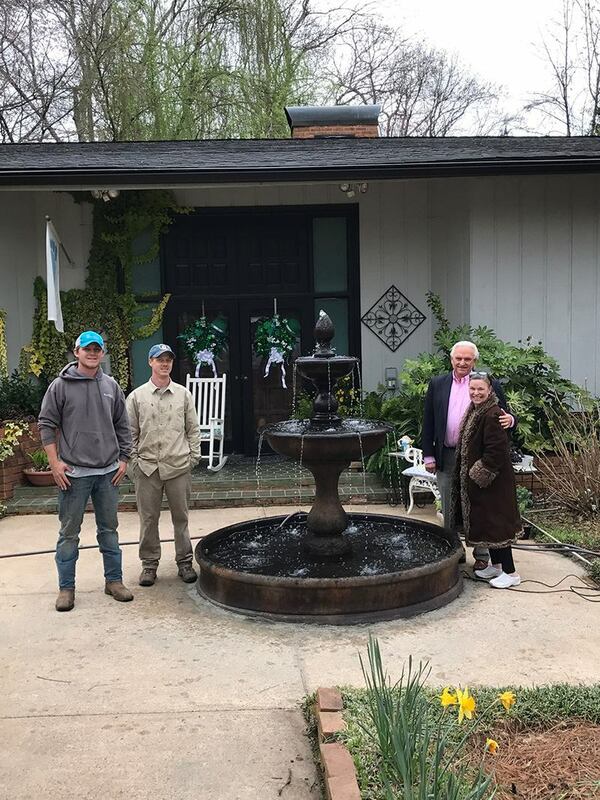 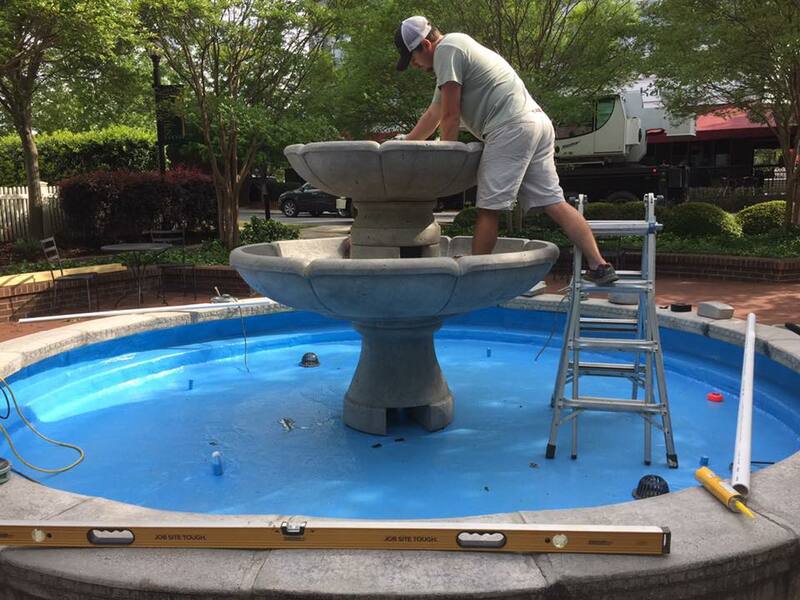 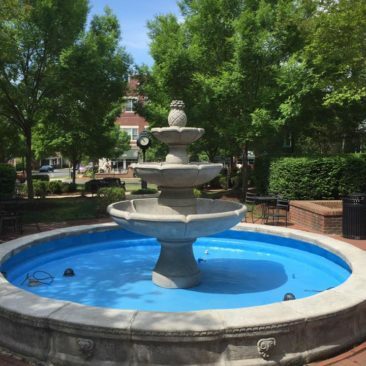 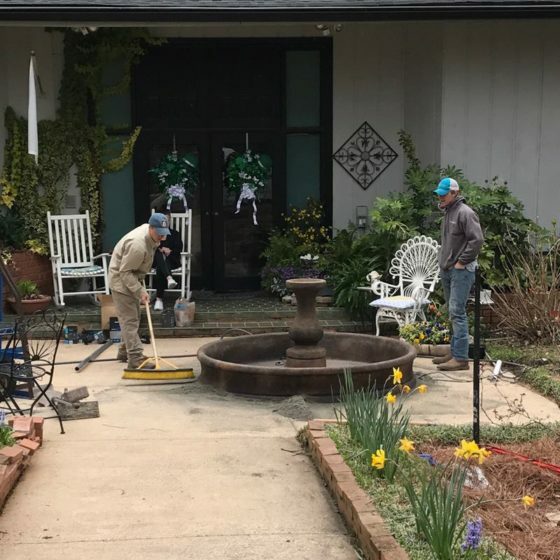 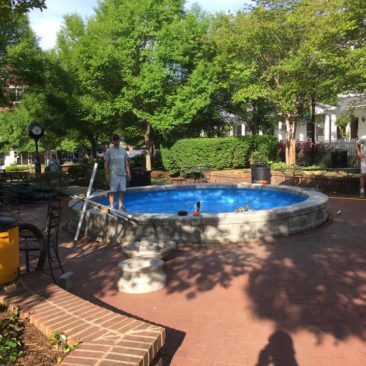 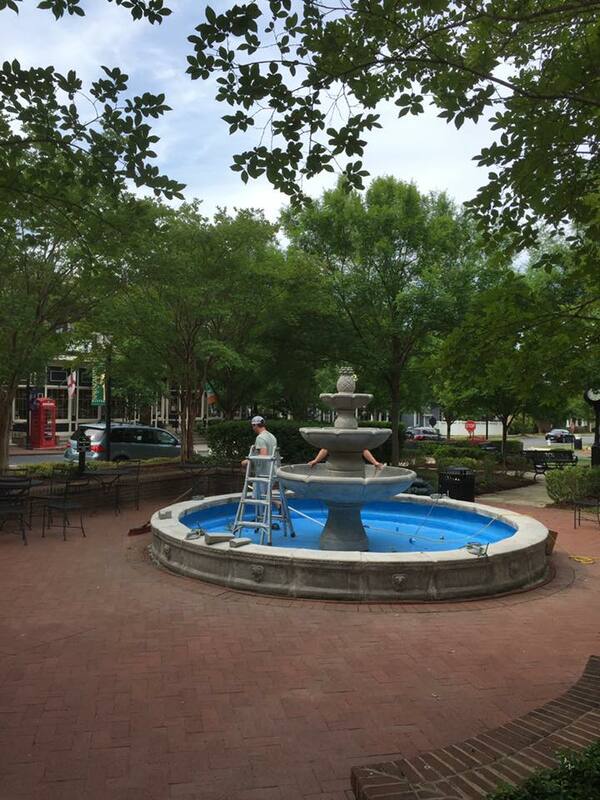 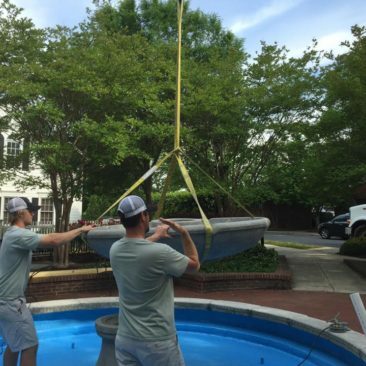 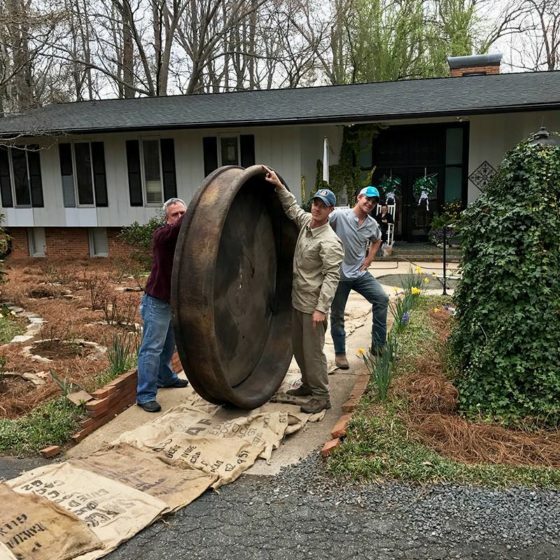 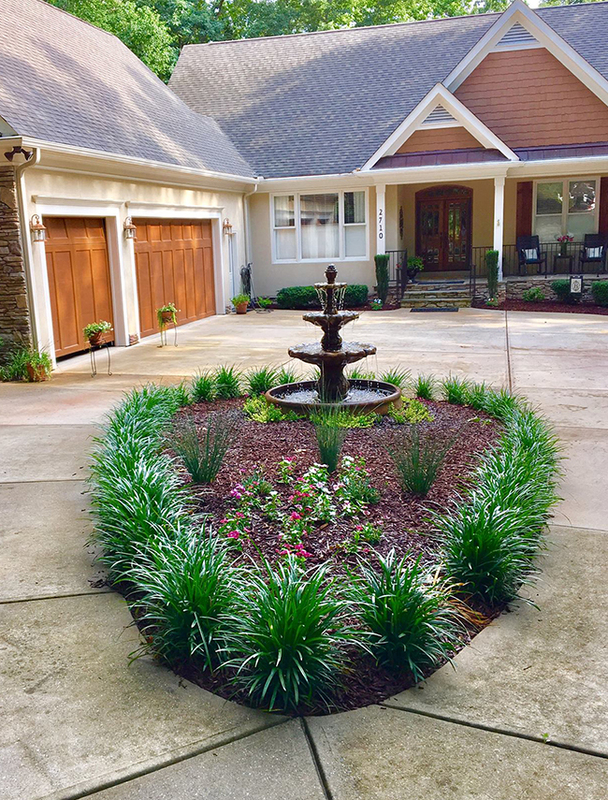 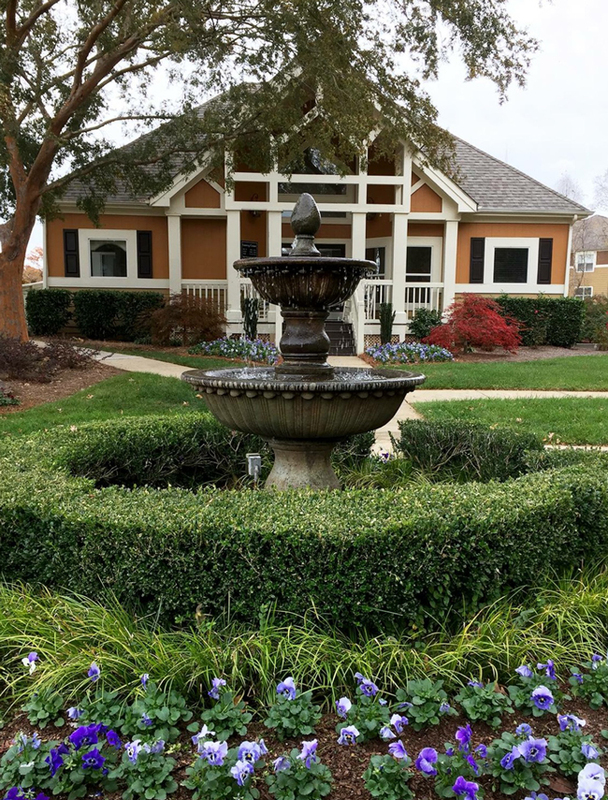 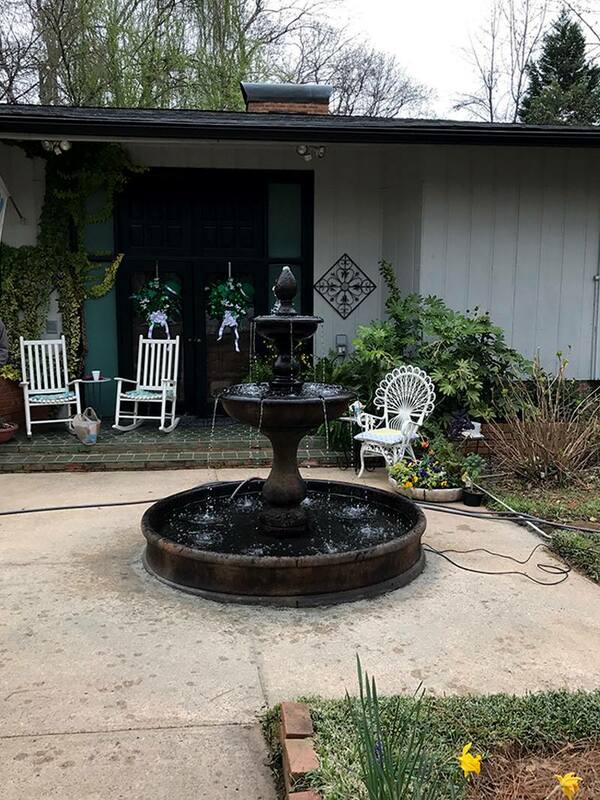 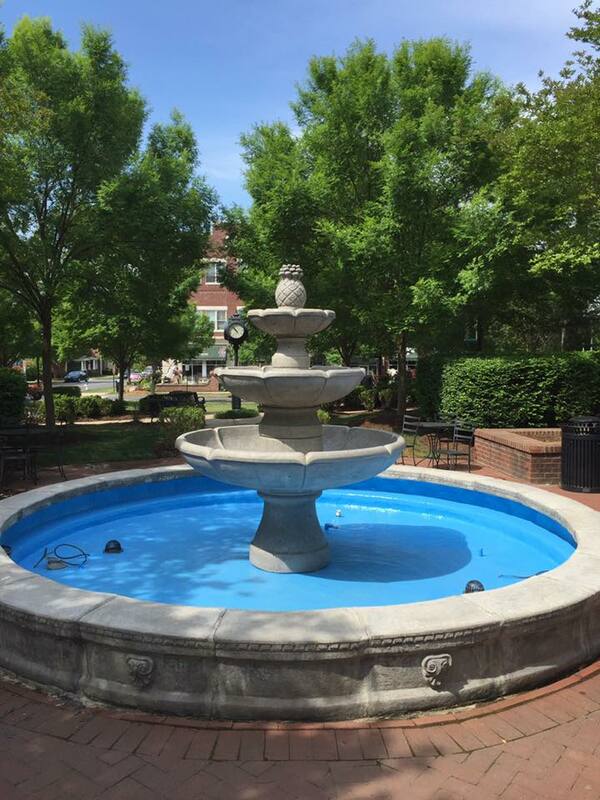 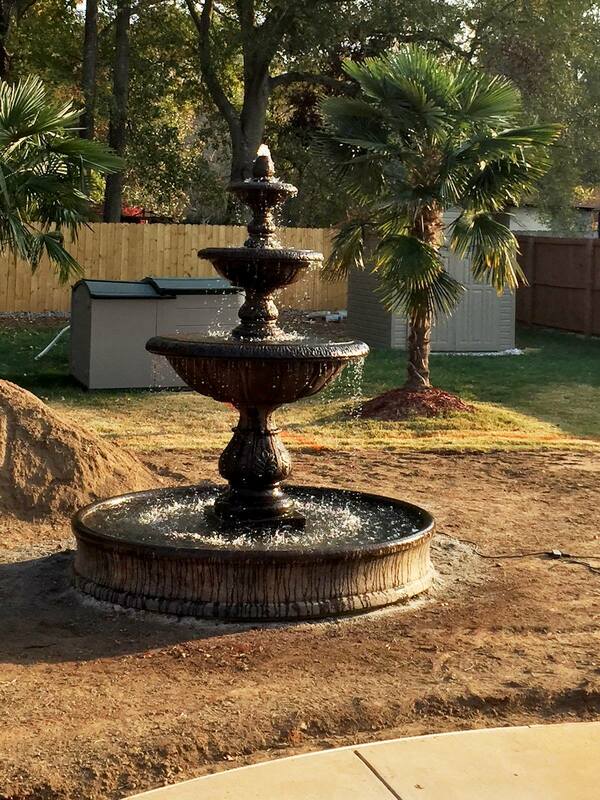 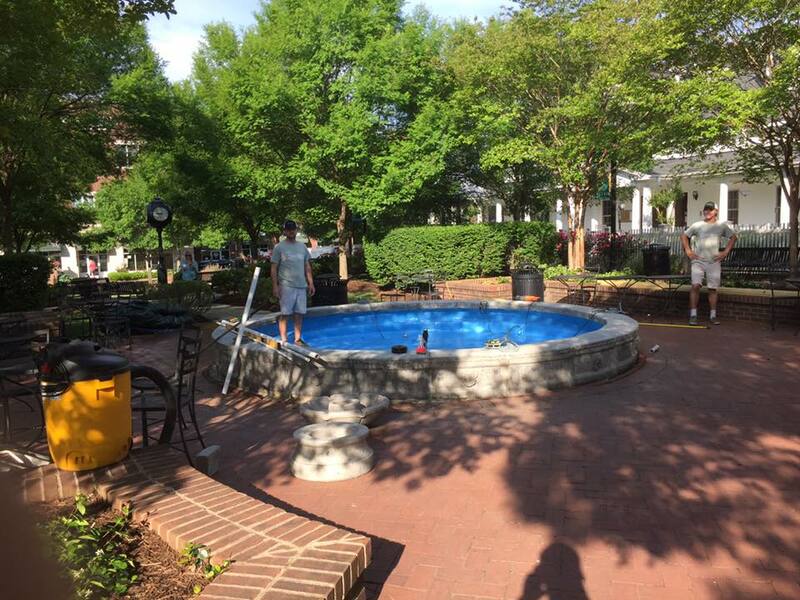 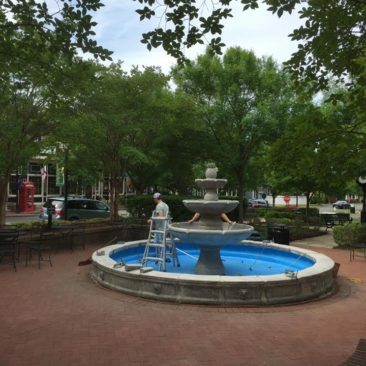 Our personable White House Gardens installation team has installed hundreds of fountains and statues of all sizes for customers - both commercial and residential - throughout the greater Charlotte area and beyond. 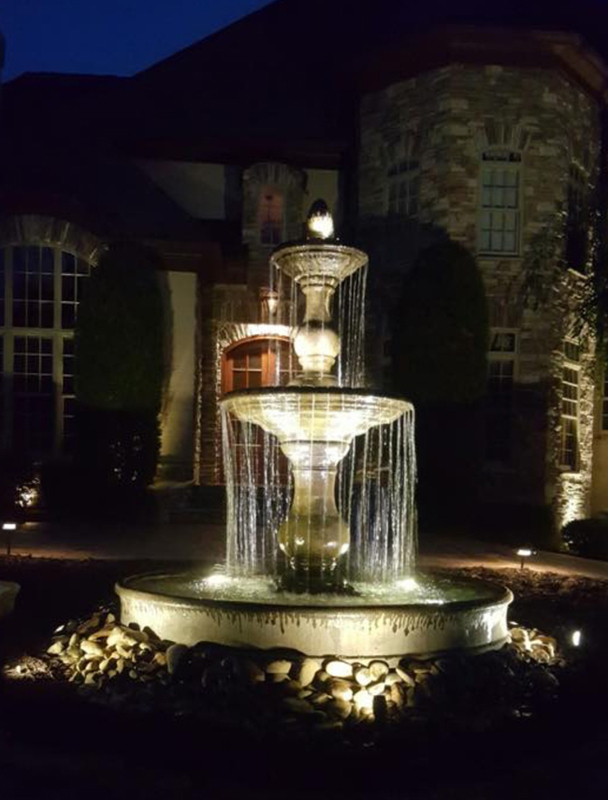 When you choose your new fountain or statue, be sure to discuss your installation options with our sales staff. 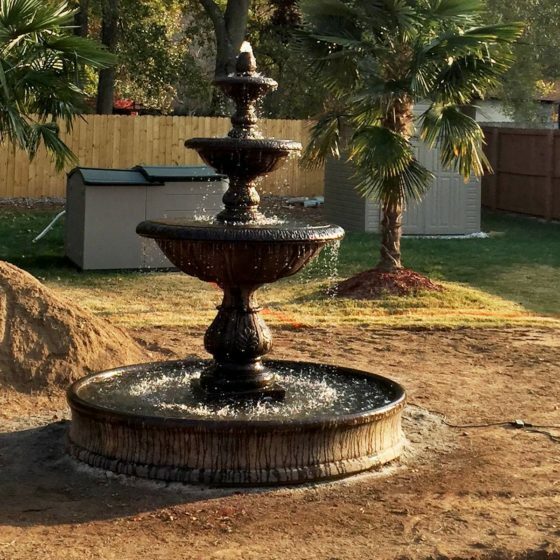 Most installations can be completed in a half day or less. 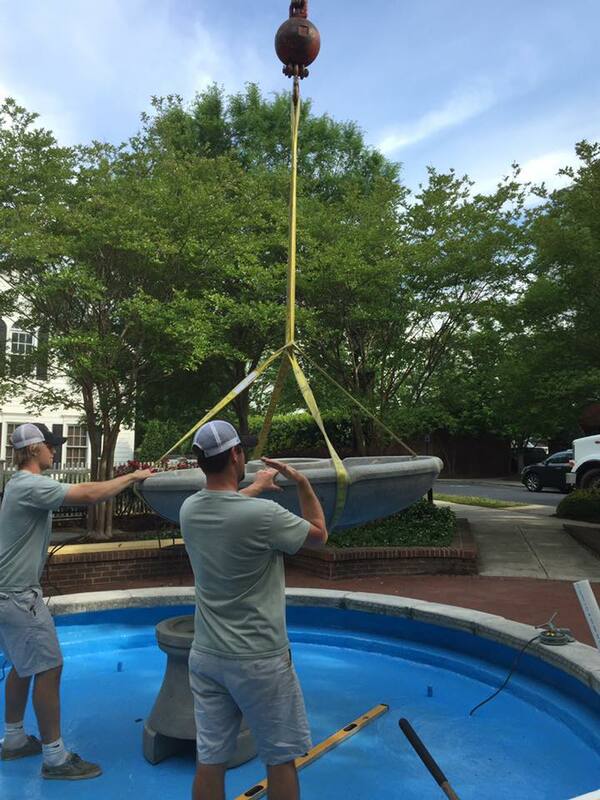 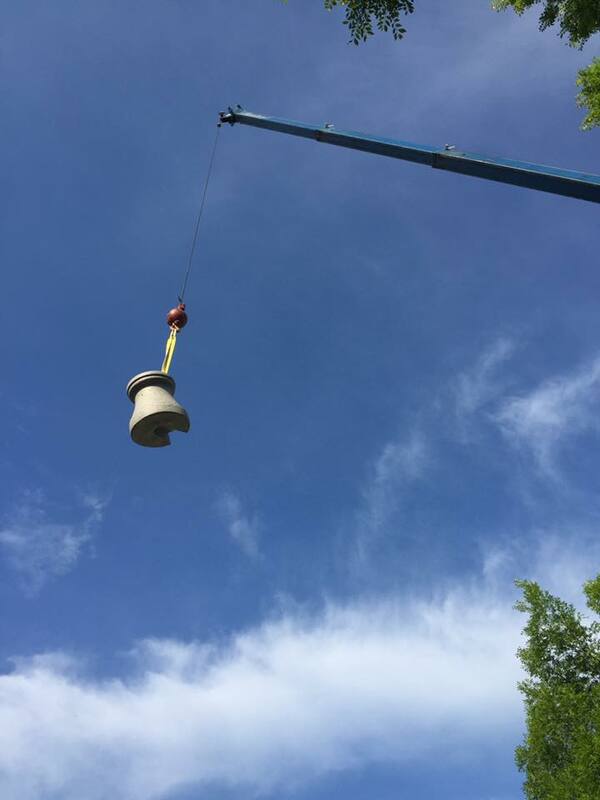 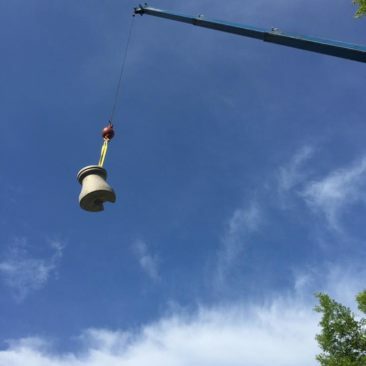 Estate and certain large fountains will require a crane. 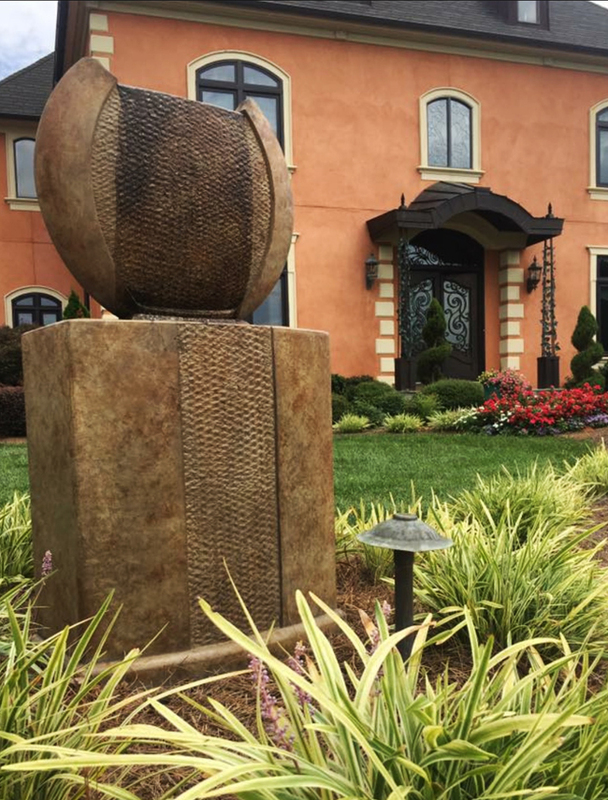 The job isn't complete until you're 100% satisfied with your new purchase and its representation at your home or business. 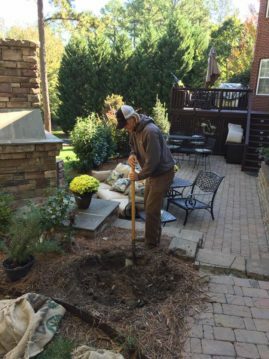 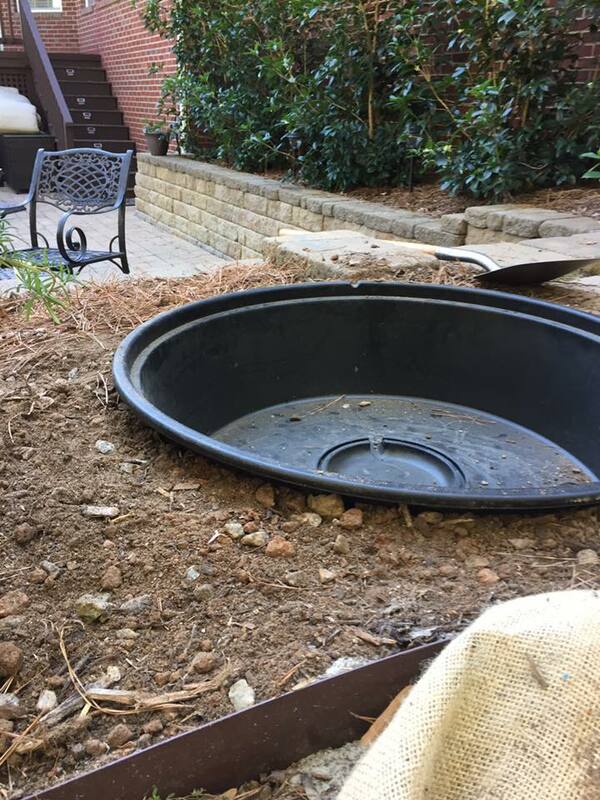 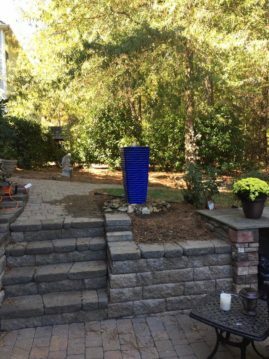 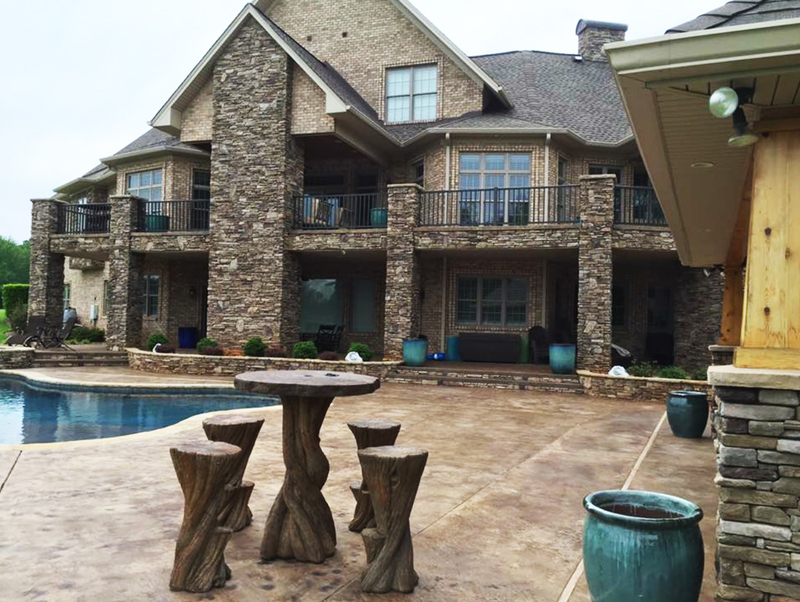 Glazed pottery (ground and balcony) and Banyan Hi-Top Table Set installation at a beautiful private residence in Statesville, N.C.
Grading is an important step in the installation process to ensure a level ground for fountain placement.